While the New York Rangers battled to stay alive in the Stanley Cup Finals taking place a little north of Bowery Electric, a group of musicians from Canada, who this year had no team in the last round of the hockey playoffs, plugged in and turned it up to max vol. 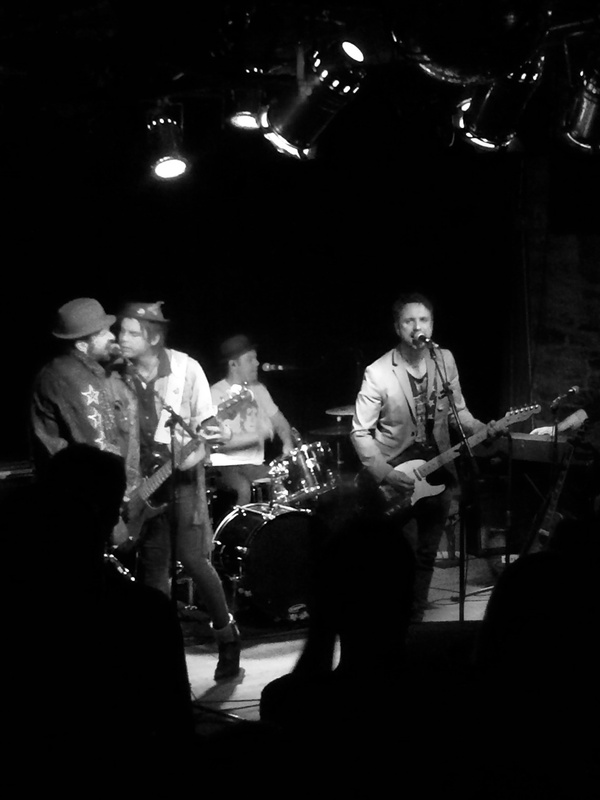 The Trews were back in town. While north of the border, the Trews continue to top the charts, win awards, and play to ever growing crowds, here in the States they are working hard to reach the same level. If achieving that success was only based on talent and hard work, the Trews would be a household name. So until luck and timing fall in line, the band will continue to drop into select markets around the U.S., and blow away new audiences, and probably a few amps. 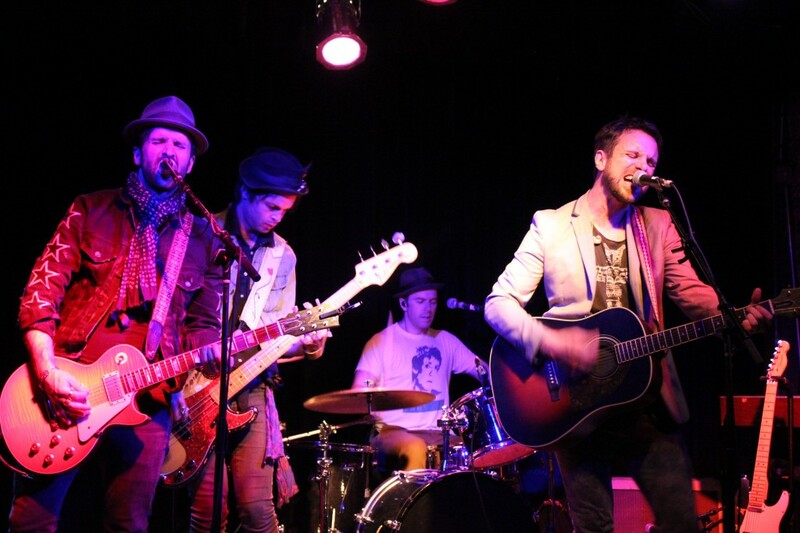 The Trews are Colin MacDonald (Lead Vocals, Guitar), John-Angus MacDonald (Guitar), Jack Syperek (Bass), Sean Dalton (Drums), and for this go-round Jeff Heisholt (Keyboards). Starting the night with “Rise In The Wake,” “What’s Fair Is Fair,” and “Age Of Miracles,” from their latest release The Trews, the band quickly set the tone, loud and rockin’. As Jack Syperek pounds a strong beat, Sean Dalton returns the rhythm. Going back to their No Time for Later album, next up was “Paranoid Freak.” Although I’ve seen the Trews twice before, this is the first time I’ve seen them with a keyboard player on tour. As expected, Jeff Heisholt brought another layer to the songs, fully rounding out the sound. A little audience participation formed the intro into the title track of Hope And Ruin. After a few trips through the northeast, they may be leaving their mark, as many in the crowd joined in singing the song back to the band. The Trews are a no-nonsense band. While lead singer Colin MacDonald has short conversations with the crowd, their time onstage is very much about the music. One after another, fast and strong. Toward the end of the set, they pulled out a few old favorites: “Poor Ol’ Broken Hearted Me,” and “Not Ready To Go,” two songs guaranteed to get the attention of the crowd. And while Colin thought that the song they decided to end the night with “New King,” was probably not the best choice as the LA Kings were skating against the Rangers a little uptown, the Trews rocked it anyway. 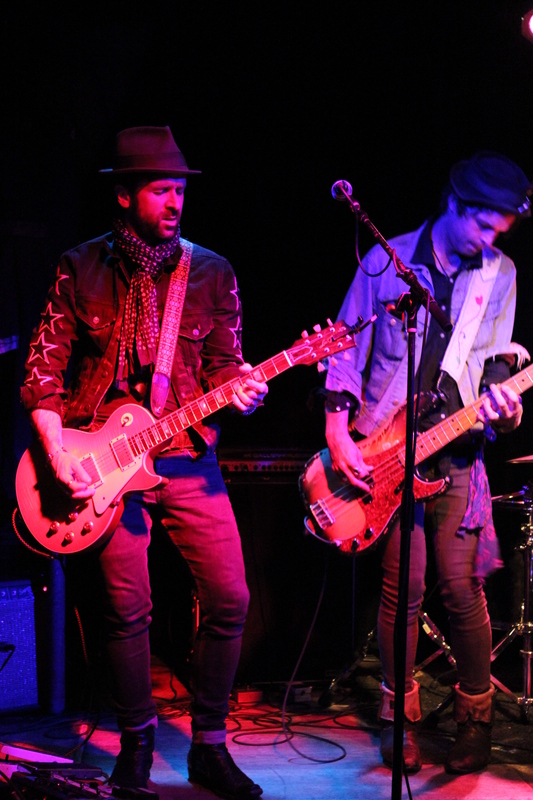 While each band member is talented, the strength of the Trews lies in the band as a single entity. 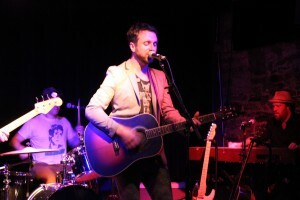 Lead guitarist John-Angus MacDonald pulls out the melodies while creating harmonies on the backing mic with Jack. Together with Colin’s vocals and Sean’s beat, the heart of the band is evident, and it’s apparent that whole is indeed greater than the sum of its parts. If you want a night of hard rocking, loud music, you can go see a hundred bands. But if want it loud, hard rocking, and you’re looking for quality of songs and musicianship, go see the Trews.